Andreas Broeckmann lives and works in Berlin. Since the autumn of 2000 he has been the artistic director of Transmediale: the Berlin International Media Art Festival. Broeckmann studied art history, sociology and media studies in Germany and the UK; he received his PhD from the University of East Anglia. From 1995 to 2000 he worked as a project manager at the V2_Institute for the Unstable Media in Rotterdam. He is a member of the Berlin-based media association Mikro, and of the European Cultural Backbone, a network of media centres. In texts and lectures he deals with post-medial practices and the possibilities for a 'machinic' esthetics of media art. This essay deals with the relationship between media and the public sphere, and with the way in which media both construct and conflict with notions of the public sphere. It looks at artistic practice as a form of ‘public production’. 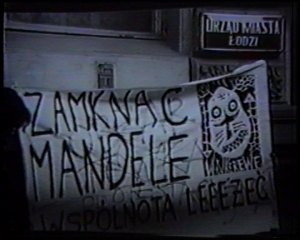 Descriptions of selected works from the Polish video art compilation ‘From Monument to Market’ are added as illustrations and counter-points to the theoretical argument. 1. The public domain is conventionally viewed as an assemblage of urban social spaces – the market place, theatres, libraries, cafés, etc. – where the ideas and practical concerns of society can be voiced and discussed in an open dialogue. However, the public sphere that is formed at these sites is not of itself neutral and democratic, but is invested with political and economic power. Think, for instance, of the exclusive English clubs and coffee houses of the 18th century where a new class of industrialists and traders negotiated their political influence, or the large city squares where the architectural and ritual display of power determines the monumental expanse of the site. 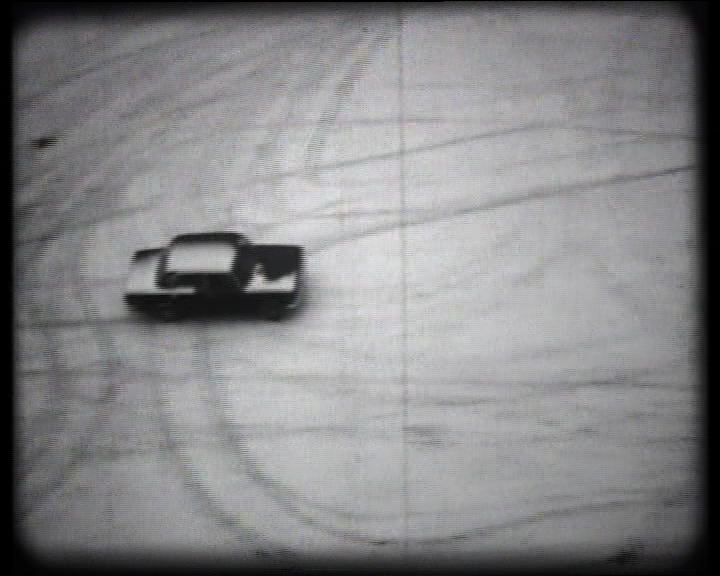 Andrzej K. Urbanski’s short video piece ‘Wittgenstein 3. 262′ carefully elucidates the relationship between advertising signs and public space: a spinning Coca-Cola logo is first seen as an isolated, universal signifier; when the camera zooms out, we can see that the logo is on a sign-post advertising the brand in a prominent urban location. The meaning of the sign, which may be blurred or indistinct when looking only at the signifier, becomes clear when it is viewed in the context of its application – this is the message of the paragraph from the philosopher Ludwig Wittgenstein that provided the title of the piece. 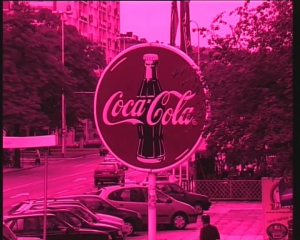 The video work creates a well-calculated instability when the urban space, first presented as an advertising context, is freed from that function in the final instant of the video: the image freezes as the spinning sign is seen from the side and therefore briefly ceases to convey its meaning. The artist grabs that moment and offers it to us as a clue. The notion of what is ‘public’ is currently undergoing a deep transformation brought about by a variety of geographical, economic, geo-political, technological and discursive drivers of social change. The public sphere, and the way in which individuals and groups participate in it, is taking on a whole different set of meanings, compared with the classical forms of the civic public that emerged in the 18th and 19th centuries. Most importantly, it seems to be impossible today to speak of only one public domain; instead, we must to think of the public domain as a heterogeneous, at times hybrid, at times fragmented, dispersion of physical and virtual spaces populated by different types of ‘publics’. In Józef Robakowski’s ‘From My Window [Z mojego okna]‘ (1978 – 2000), we experience the construction of the space that the artist can see from the window of his flat as a highly personalised public space. It is a space used and inhabited by others, documented in moments when the artist himself is not outside. Over several years, the city segment fills up with people, animals, events and building sites, all of which are brought into existence by the camera and by the artist’s narration. The work is a detailed personal portrait of what that supposedly public space and its cast of characters means to the individual. The public domain is a composite of many stages and layers, open and closed physical spaces, media channels, forms of communication and cultural expression. Media technologies play a crucial role in the current taming of the urban public domain. Developments such as the transfer of economic activities to closed electronic networks, the privatisation of public areas, the homogenisation and separation of functions through the designation of specific zones for shopping, entertainment, housing, traffic, etc., seek to make public space more secure and more efficient, but they undermine the essence of the public domain as a zone of uncontrollability. The instability of the public domain is a condition of its democratic potential. Artistic urban interventions strive to counteract the safely regulated urban terrain with its technologies of security and privatisation – the city zoning, surveillance cameras, biometric systems, etc. – by using the tactics and technologies of conflict and participation, reclaiming the public domain with and for multiple heterogeneous groups. 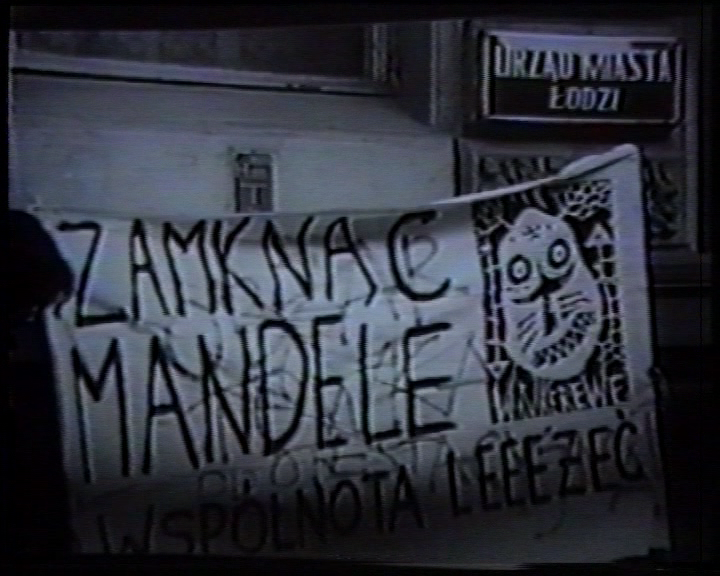 Two complementary works to Robakowski’s ‘From My Window’ are his ‘Art is Power [Sztuka to potega]‘ (1985) and ‘In Memory of Leonid Brezhnev [Pamieci L . Brezniewa ]‘ (1982). 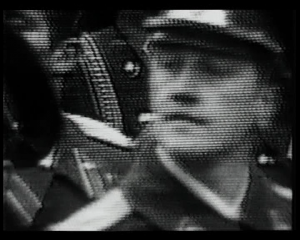 In both, he takes the televisual space of Poland’s socialist state TV during a significant official event – in the former a large military parade, in the latter the state funeral of the Soviet leader Leonid Brezhnev – and juxtaposes these events with the music of the Yugoslavian band Laibach. Using a martial, rhythmic and ritualistic musical style, Laibach was, in the early 1980s, infamous for their critique of socialist ideology through the apparently fascist symbolism of their dress, performance and general appearance. As part of the Neue Slowenische Kunst art movement, Laibach formulated a vicious onslaught on the supposedly anti-fascist Yugoslavian society at the end of Tito’s reign. Robakowski appropriates this critical stance and applies it to the medial, televisual experience of stately parades taking place in Moscowbut projected throughout the whole Eastern European Soviet empire. 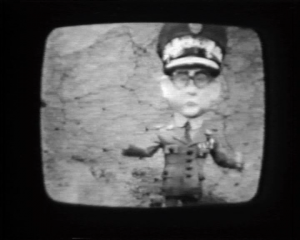 The fact that the TV images appear in grainy black and white at modified speeds further complicates the historical riddle: they seem to come from a different time – the early days of film, the days of the Russian revolution or Stalin – times when Laibach’s music might have been just as ambiguous as it was in the 1980s, when it was rejected by the socialist regimes not for being critical, but for being supposedly fascist. The challenge in the creative use of media technologies is to foster the diversity of public actors and terrains, and to develop strategies for articulating new public domains that link physical urban spaces with the potential public sphere of electronic networks. This public sphere will only come into being if there are complex forms of interaction, of participation and learning, that make use of the technical possibilities of the networks and that allow for new and creative forms of becoming visible, becoming present, becoming active – in short, of becoming public. 2. Visibility, presence and action define three levels of being in public. They are also the main fault-lines of public conflict. Invisibility is one of the stigmata of modern society. Whether in the case of minorities, social movements or special-interest groups, achieving visibility can in itself be an important step towards the goal of political effectiveness. However, visibility is always connected to the possibility of control. Like other forms of public policing, the increasing use of surveillance cameras in public and private spaces indicates that visibility is a matter of concern for the public order. Whatever is publicly visible is always potentially illegal, indecent or otherwise unacceptable. Becoming visible in an urban environment is therefore often a clandestine activity, like putting up illegal posters or graffiti, pirate radio broadcasts, taking on a false identity on the Internet, or elusive appearances in large masses of people. In these medial strategies, the regimens of visibility, anonymity and identity are locked in a problematic imbalance. Zygmunt Rytka’s ‘Retransmission [Retransmisja]‘ compiles a large number of extremely short video excerpts from news broadcasts. The endless flow of images, talking heads, scenes from political events and occasional white noise creates a sense of frustrating redundancy – nothing can really be understood – even though the experience of watching the tape painfully reminds us of an evening spent in front of our TVs with the remote control, zapping through the cable or satellite spectrum in which a myriad of opinions, events and faces blend into a mindless ‘infosphere’ and any sense of distinction is swallowed up in the bland, meaningless factuality of televised images. The notion of visibility is connected to a fleeting, impermanent perception in time and is therefore at best a tactical element of being inpublic. In contrast, the notion of presence – not necessarily coupled with visibility – makes a claim to ‘be here now’ and is an affirmation of public status. Presence is immediate, which means that it cannot be implemented through medial representation. At the same time, presence is affirmed through mediality, and always manifests itself in a medium: graffiti have presence as signs and images in the urban space, radio programmes are manifest as a presence on the air waves, squatting is the physical occupation of a space declared empty and unused. Presence is the affirmation of an identity and of a now in a specific medial environment. The video ‘Jail Mandela!’ documents a street action of the Lyyying Community, in which the artists performed silently, lying down on the city pavement dressed in bizarre costumes. 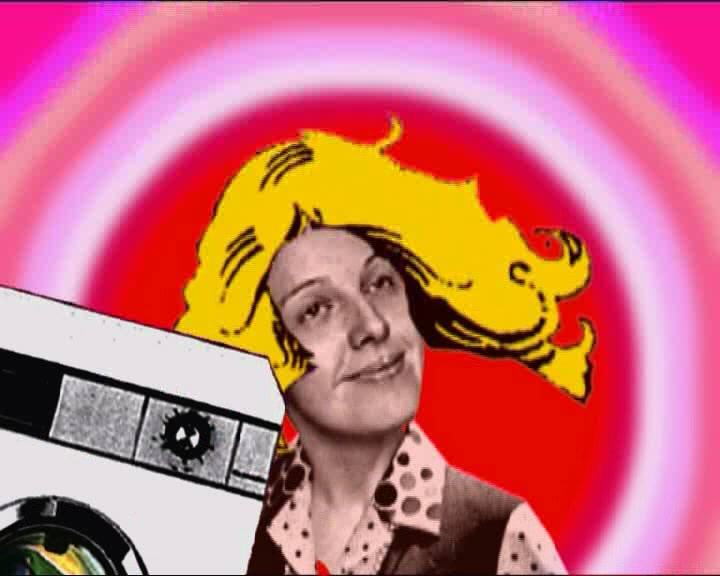 An interviewer asks the passers-by what they think the situation is about, and their speculative, often bemused answers make up the soundtrack for the video. The project investigates the meaning of acting in public by positing a nonsensical signifier and eliciting responses which thus constitute more or less unfiltered comments on what is and what is not acceptable public behaviour. Neither visibility nor presence can in themselves provide the potential for becoming publically active. The notion of public action relates to a form of political agency which aims to effectively transform a material and symbolic situation by means of argument and through more or less direct acts of performance. The possibilities for such actions are growing scarcer wherever symbolical representation, mediated participation and the equation of consumption and democracy have replaced a sense of active presence and involvement in public matters. Being in public is identified with potential illegality on the one hand, and with the danger of personal harm on the other. Reclaiming public domains as sites of constructive conflict and developing democratic agents for the new intersections of the virtual and physical public environments are therefore imperative in the current situation. 3. Negative public production is the process of shrinking the public sphere. Again, electronic media have played an important role in curbing, or at least not furthering, the potentials for creative and heterogeneous use of the emerging public domains. The Internet, for example has over the past ten years offered a great deal of promise for a ‘liberated public’, while simultaneously spawning ever new constrictions of the free use of the tools for communication and exchange that it offers, from the dataveillance infrastructure of the Echelon system and spy-ware to the plans for a hardware-based Digital Rights Management system that seeks to burden digital creativity with the restrictions of the analogue world. Monika Grzesiewska’s video and computer animation ‘Faster, Easier [Szybciej, Wygodniej]‘ deals with the craziness of a post-modern life completely wrapped up in the codes of shopping and advertising: an endless stream of products that morph into each other, replaceable and ever-changing, fluid and redundant. When the female figure that has to endure this modern purgatory is about to give up in utter frustration, a smart talking head tries to sell the next big thing to her: an online shopping world on the Internet that is just as crazy, just as exhausting and just as redundant as the glossy, flashing ‘real world’ was before. Similarly, the space of mobile telephony is affected by increased commodification and models of payment that turn human communication into a resource waiting to be exploited. It is disconcerting to see how most artists who are currently working with mobile systems completely fail to approach the technology with the critical and investigative attitude that has brought forth so many interesting results in electronic media art over the last decades: breaking open the devices, hacking the system, transgressing intended usages, playing with or working against the normalised logic of these media – all this seems to be somehow taboo when dealing with mobile phones. Instead, most projects come across as industry-friendly suggestions for so-called ‘content development’, i.e. the filling of empty channels and the harvesting of customer attention. 4. Public production is the continued effort to re-invent the notion of the public sphere in relation to, and by means of, contemporary social, political and technological conditions. This requires an effort to understand current modes of being public, of visibility, presence and action, and of modelling public spaces as sites of conflict and friction, where dissent and misbehaviour are possible.